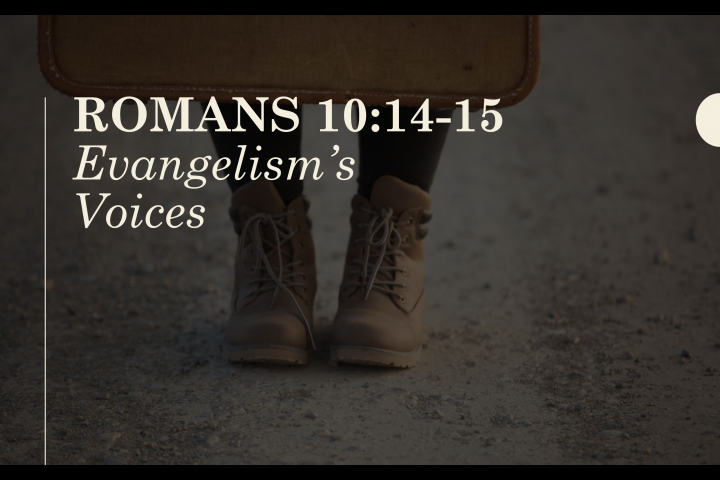 Evangelism’s Voices Romans 10:14-15 What do you think of when you think of evangelism? We might think of a powerful preacher; someone going door to door; or an overseas missionary. What about the person who took the time to walk with us through the process of learning the good news about God’s Son so we could become one of God’s people? They used their ability and voice to seized the moment! The result allowed God to work something beautiful in our hearts. They gave us the opportunity to know God better and be obedient to Him. This is what we will see Sunday night as we look in the book of Luke: disciples of all backgrounds and talents working together to seize the moment to help others learn and be obedient to the gospel.